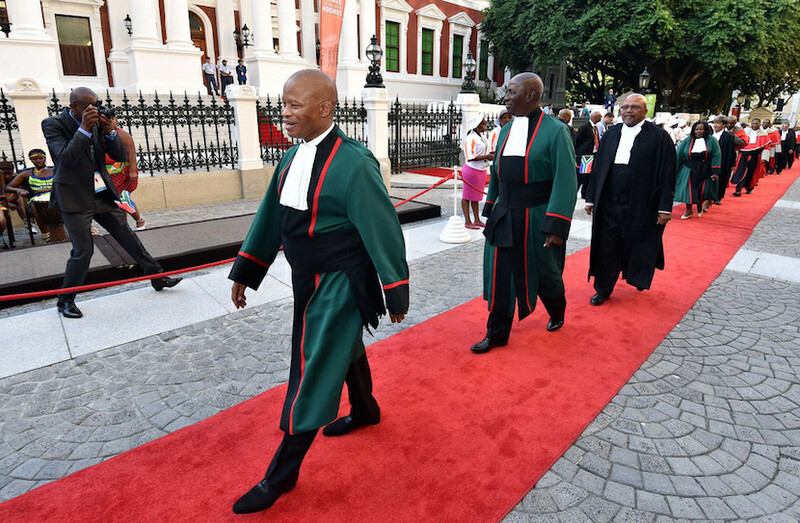 Durban – Until South Africa got its act together it would be a laughing stock and prophets of doom would keep saying it was yet another failed African state, Chief Justice Mogoeng Mogoeng said on Thursday. Mogoeng was speaking at the 14th Victoria and Griffiths Mxenge Memorial Lecture at the University of KwaZulu-Natal University’s Howard College where the university also hosted the School of Law Awards Ceremony. File photo: Chief Justice Mogoeng Mogoeng arrives at the State of the Nation address. Honouring Victoria and Griffiths, Mogoeng told the gathering that sitting comfortably when more could be done to improve the country would be betraying what the Mxenge’s lived and died for. “South Africans, it’s now or never. Quicken your conscience to life… You will realise, like I have, that I have been sitting comfortably on a very uncomfortable situation; I have been idling by when my country demanded so much more from me,” he said. South Africa had the potential to be the best country in the world but that all depended on what the country did going forward, Mogoeng said. He said Griffiths was a selfless legal practitioner and his wife cared for children that were not her own. He said the couple was not driven by wealth but by helping the less fortunate. Mogoeng said Mxenge could have acted like some legal practitioners have and allegedly benefited from victims of the Road Accident Fund pay-outs. He said he had heard of stories where victims of the RAF would receive R1 million but “an ignorant oppressed black South African would be given R10 000 and well over R900 000 would go to an attorney that had never been injured”. Mogoeng said money seemed to be the preoccupation of many South Africans. “It’s time that we had a very deep self-examination… Have we parked like broken down vehicles ever since we cast our first vote? 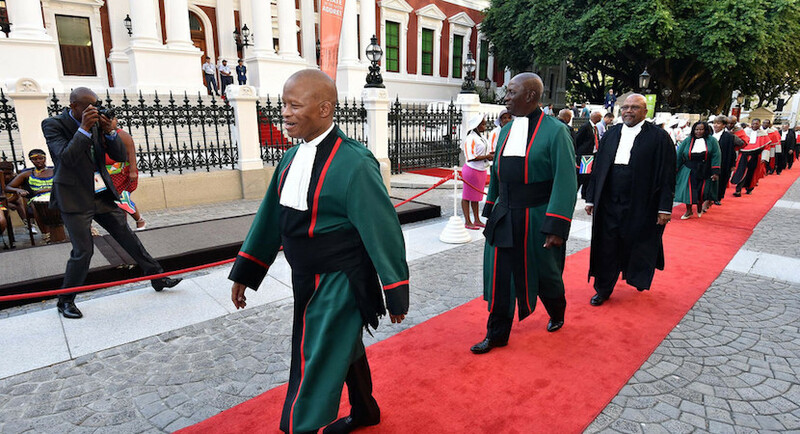 “Now that we can become chief justices, advocates and SC’s… Now that there is money rolling around in South Africa and opportunities are available. Have we now resigned ourselves to greed and selfishness?” he asked. Chief justice Mogoeng Mogoeng says South Africans have forgotten about the Rainbow Nation to chase personal wealth. He said sitting back and playing it safe when there was so much to do was a betrayal of the sacrifices made by the Mxenges. “Now that there is no life threatening situation in seeking taking South Africa forward and ensuring that the promises that were made in the Constitution are fulfilled, what is it that makes us sit comfortable and watch or criticise never doing anything to actively advance the course that many died for become a reality? Mogoeng said black and white South Africans should work together to help undo the injustices of the past. “What is this obsession about unmitigated self-indulgence… The Constitution says South Africa belongs to all who live in it. What are you doing to contribute to a more united South Africa. He said divisions in the past arose from the fact that some people could not vote and others were forcefully removed from their homes and the prime land that they occupied. “We should never allow a situation where the resolution of the land issue is imposed on us, we should be proactive. “Let us not allow a space for tension to arise out of something that we can resolve collectively as South Africa. Don’t condemn the government and hope that the problem is going to go away. Mogoeng recently delivered the Constitutional Court ruling on the Nkandla matter.